Scarabaeus (Invaders of the Lost Tomb in the US) is a 3D search, puzzle-solving and survival game developed by Andromeda Software and published in 1985 by Ariolasoft for the Commodore 64. 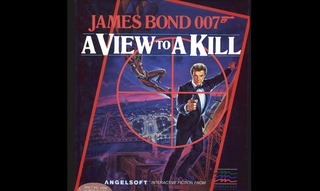 GamesNostalgia pays a small tribute to Sir Roger Moore with James Bond 007: A View to a Kill, an interactive fiction created by Angelsoft for Apple II, DOS and Macintosh and released in 1985. 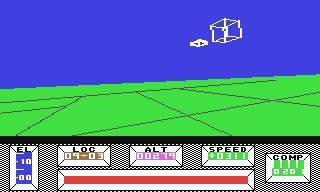 Monty on the Run is the third game in the Monty Mole series developed and published by Gremlin Graphics Software in 1985. Monty Mole, created by Peter Harrap, was a popular video game series in the 80's. 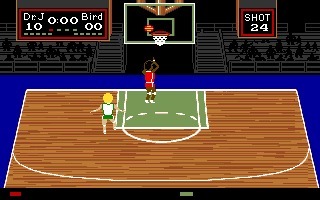 One on One, also known as Dr. J and Larry Bird Go One on One, is a basketball simulation developed by Eric Hammond and published by Electronic Arts initially in 1983 for the Apple II and Atari 8-bit. 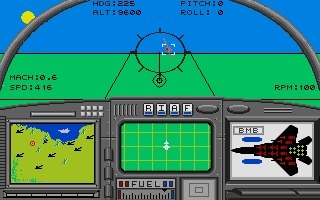 F-15 Strike Eagle is a combat flight simulator first released in 1985 by MicroProse for the Commodore 64 and Apple II. The game was designed and developed by Sid Meier, the creator of Civilization. 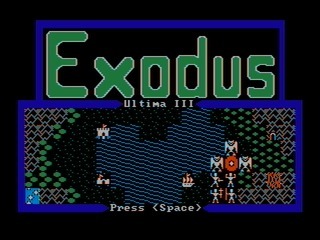 Ultima III: Exodus is the third game in the Ultima series and the first to be officially released by Origin Systems, in 1983. It was developed on Apple II and ported to many platforms including Commodore 64, DOS, Atari ST and Amiga. 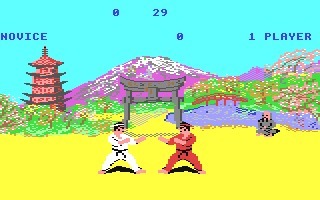 Kung-Fu: The Way of the Exploding Fist is one of the most popular fighting games of the 80s. 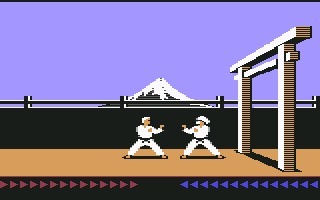 It's a martial arts fighting game created by Gregg Barnett for the Beam Software and released in 1985. Little Computer People is an incredibly advanced life simulation game created in 1985 by Activision for the Commodore 64, ZX Spectrum, Atari ST and Apple II. An Amiga version was released in 1987. 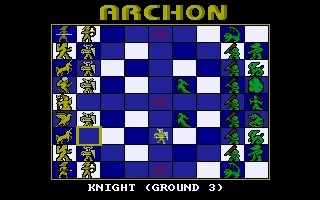 Archon: The Light and the Dark is a 1983 video game developed by Free Fall Associates and published by Electronic Arts. The concept is similar to chess, but with real-time fights between pieces to decide the winner.